Five collections. Fifty-one pieces. Forty-four students. Thirty-six schools. One hallway. One year-long celebration of talent, imagination, and expression. 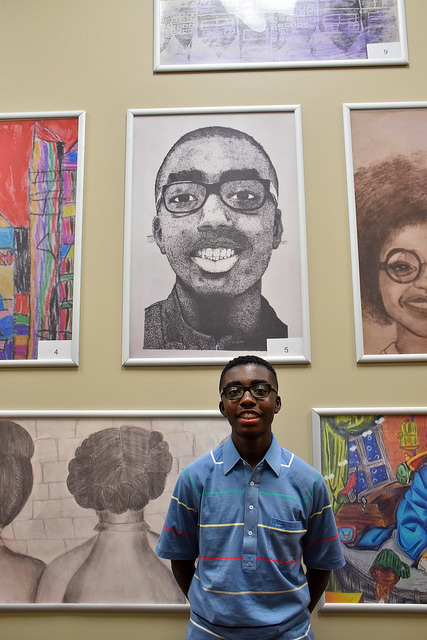 The DeKalb County School District (DCSD) celebrated the annual Art STAR Hall of Fame Ceremony on Thursday, September 20, 2018. The ceremony celebrates the installation of more than 50 visual art pieces onto a main hallway at the Robert R. Freeman Administration & Instructional Complex. The Art STAR Hall of Fame was established in 2015 as a way to honor students who have excelled in the visual arts. A panel of judges grades and scores the artwork before making final selections. In addition, students nominated must maintain a grade of 90 percent or above in art classes, a mastery of skill or technique, community involvement outside of school, a demonstration of leadership, and a recognizable passion or dedication to the arts. This year’s selected 51 pieces—which include a wide variety of topics in pencil, paint, and inks—will keep with tradition and stay on the wall until next year’s ceremony. 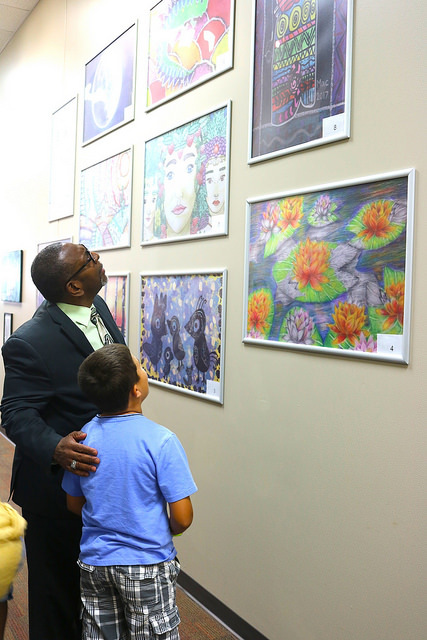 On September 20, guests were treated to remarks from district leaders, a performance from DeKalb Elementary School of the Arts’ dance ensemble, a pianist performance, and an art walk. Students Shawn Frazier, Bobbie Williams, and Sereina Johnson all have multiple projects featured along the wall, with Frazier showcasing five total. According to Lenisera Bodison, executive director of curriculum and instruction at DCSD, art is integrated into all content areas of school, making art more accessible and possible for district students.